I never noticed this version of a Music Express during our last trip. It's next to the new "It" ride. 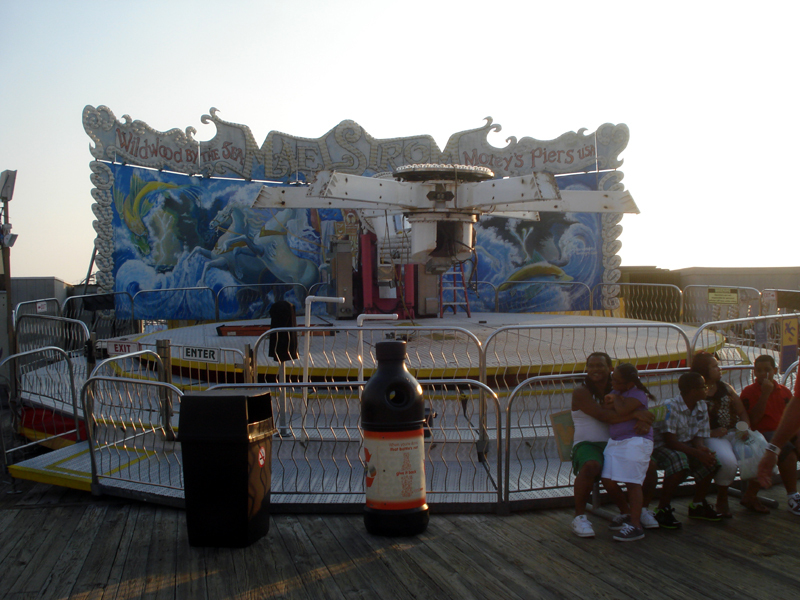 I like how they have the back of the ride open facing toward the beach. 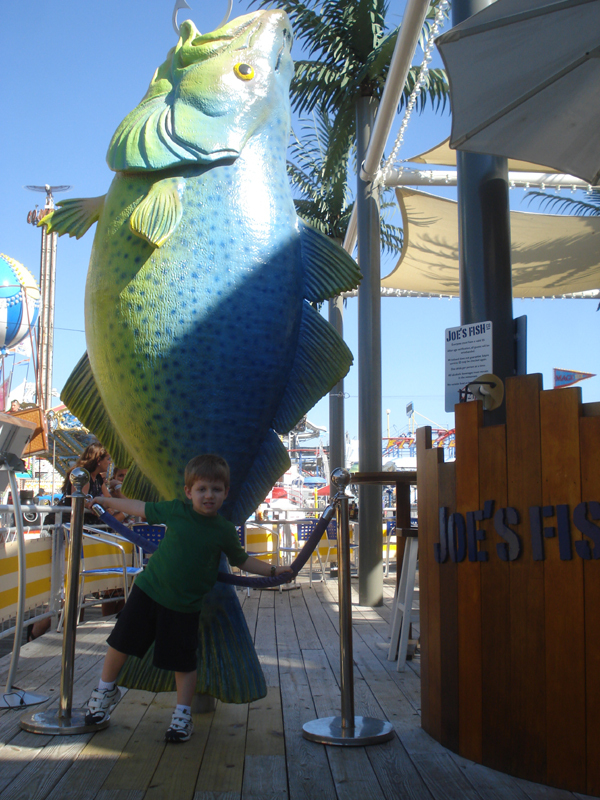 We tried Joe's Fish Co for dinner. 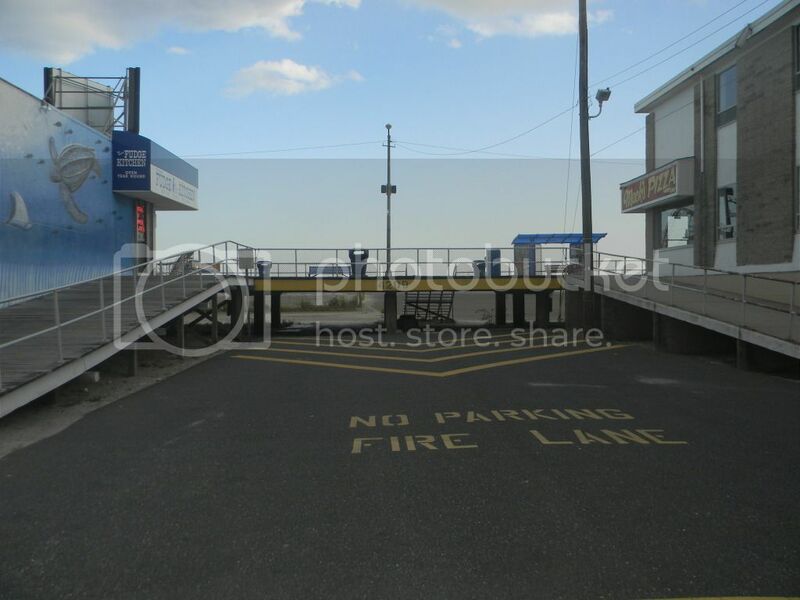 My son liked it because we could order Curley's Fries in there...his favorite shore food. 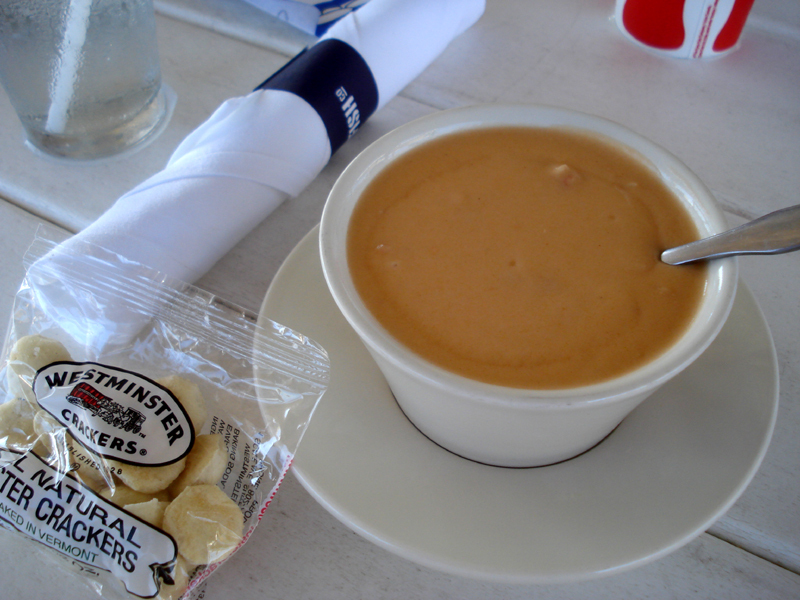 The food was good, although my seafood bisque had more bisque than seafood. I did get a 1 pound lobster meal which was very good...and my wife got broiled scallops which she liked a lot. It does get windy on the deck...but I like the outdoor atmosphere. We took the kids up to the Wild Wheels Pier for the first time. My son agreed to go on the Jersey Junkyard...which he closed his eyes through most of. 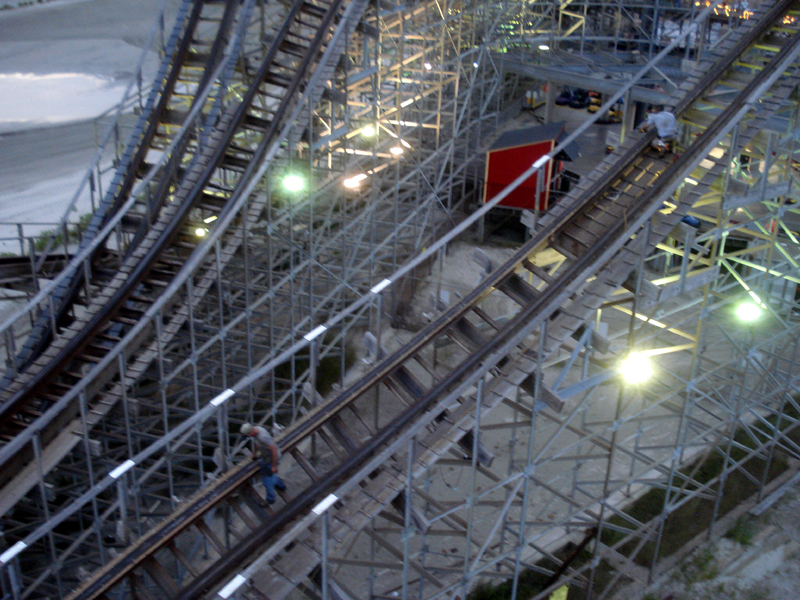 The ride seemed longer than it did when I rode it last...possibly they lengthened the track at some point. A couple rides were closed, including the Great White. They were replacing a section of track. The Maelstrom was also closed. It looks like it's getting a complete overhaul...or being removed. 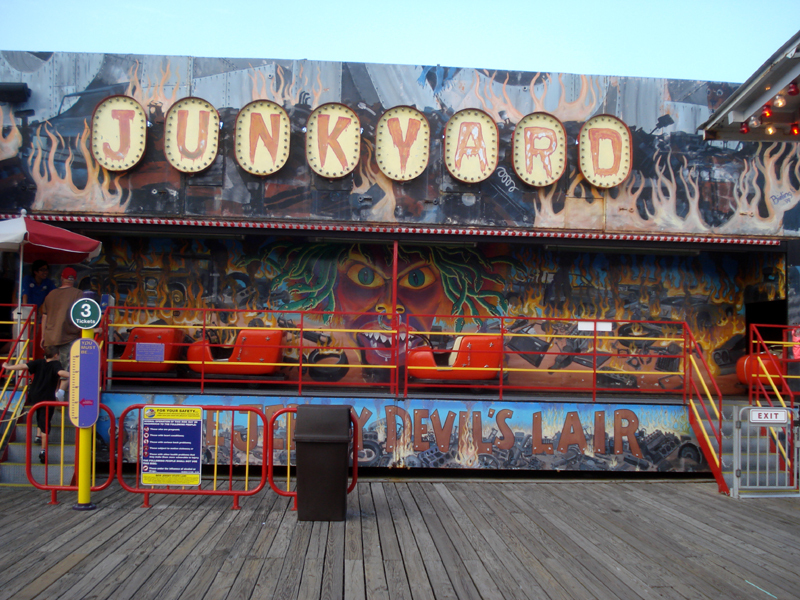 I know there have been several recent accidents on similar rides...so maybe the pier doesn't want the liability. This ride is next to the Sea Dragon. I never noticed anything about that accident while we were down there. 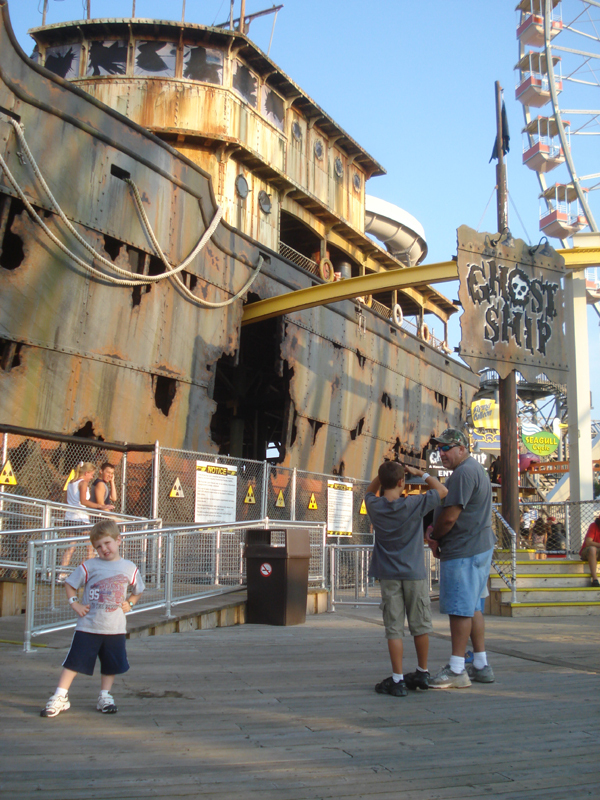 My son agreed to go on the Ghost Ship. Apparently, they now allow the actors to touch people...although no one touched us. I guess they could tell my son was scared since he had his eyes closed and his hands over his ears. I do have to hand it to the Morey's, this ride is very good now. They made it much scarier than when I first went through it. 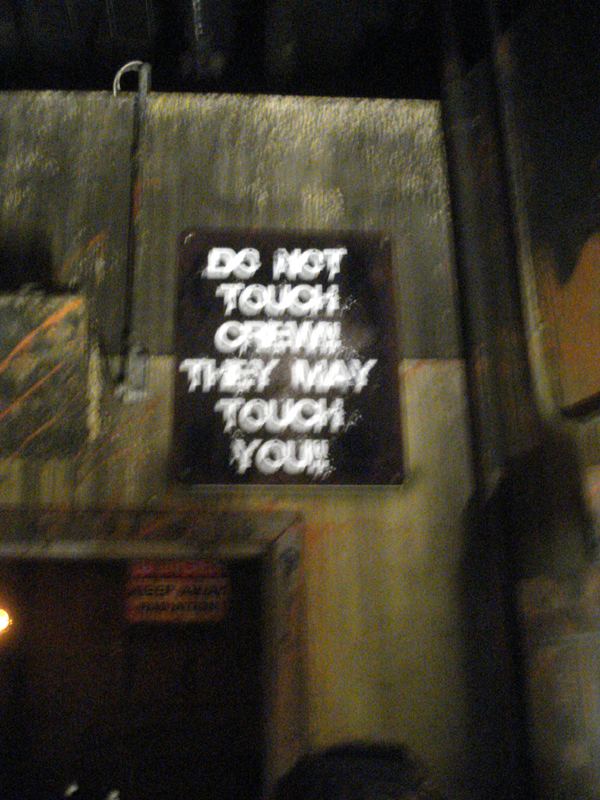 It is very dark, there is lots of theming, and the actors have gotten much better. A first class dark ride. This is my son after making it through the Ghost Ship. He was proud, even though I had to carry him the entire way. I am happy that he didn't start crying and make me take him off the ride. 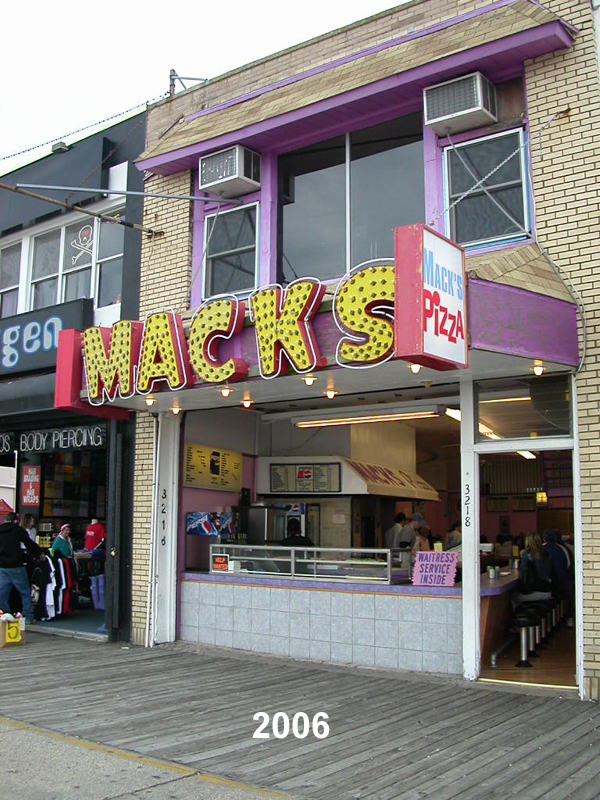 I noticed that the outside of Mack's has gotten some work. 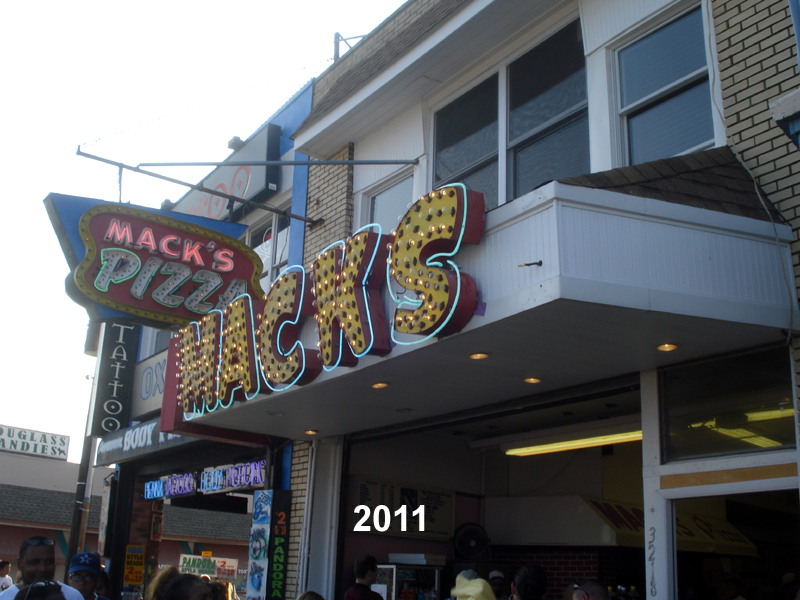 They added bead board behind the Mack's sign. Also, one of the signs is missing...maybe being repaired. You can see how it compares to my 2006 picture. 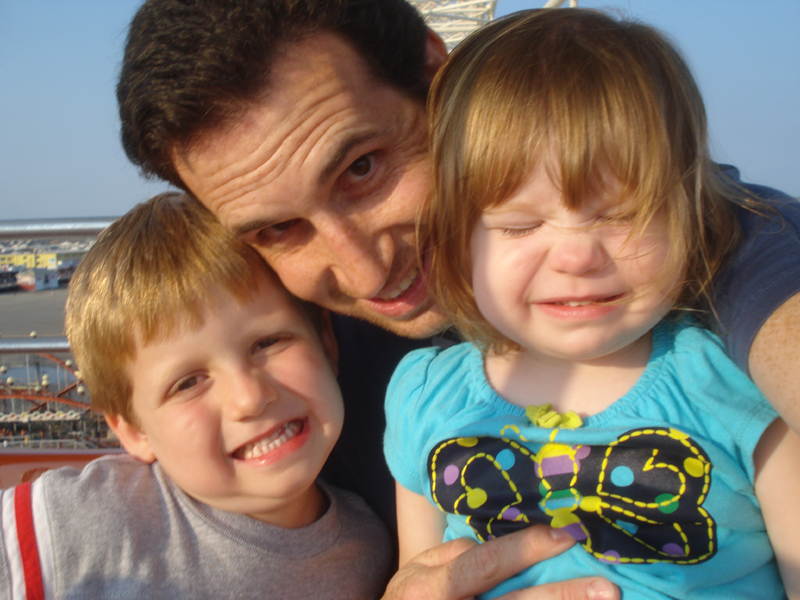 Here is a picture of my kids and me on the big Ferris wheel. We had a good time and hope to get back down once more before the rides close. We want to get the most out of our season passes. Great report as usual! I totally agree with you about the Ghost Ship. I look forward to seeing what they do with the Morey's Fears event, whether they'll tweak the theme a bit. The ship brig scene is one of my favorite parts, as it always surprises people who are going through for the first time. The Music Express Ride is not new, just moved several yards- it just about swapped places with Dante's after the post Giant Slide removal. great job on the pic report DITP.. enjoyed it very much.... Your kids are getting big!! Rock 'n' Roll. 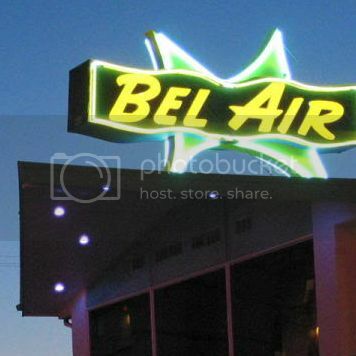 More of a Flying Bobs ride. It's good, but I prefer the actual Music Express on Mariners. Thanks Roberts. I think for the halloween event they will probably have more actors inside the ride. There are plenty of places for them to jump out of! 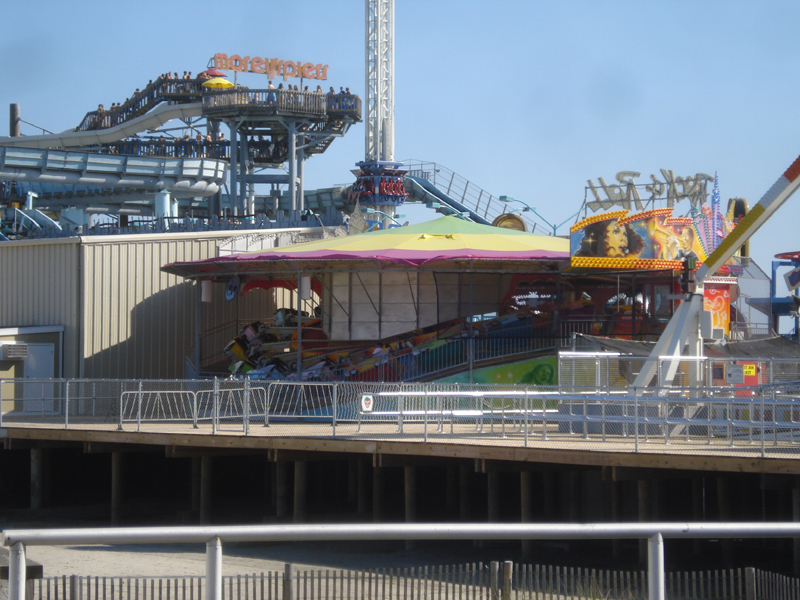 As for the music express ride...I thought it looked familiar, but maybe I never noticed it because it wasn't open to the beach before.